Human beings are expressive creatures. We exhibit through different kind of arts– -dancing, music, speaking, painting or drawing. A piece of ourselves are laid out at some extent with the art that we are making. The most usual definition of art is that it is a means of expressing ourselves. Take this as an example. Babies communicate their need through crying. There could be varying reasons why the babies cry. It could be because of a wet diaper, of hunger or of pain. When these babies grow up, words are articulated. They start to associate people with words already. From there, toddlers begin to ask for what they need through language and the limited words that they learned along the way. When they become children and had been adults, our vocabulary becomes wider. There is more ways of expressing one’s self through words. However, there is still a limitation towards speaking. There are some people who are introverted. They do not find this form of expression they can be accustomed with. Moreover, there are people who are talkative in nature but had been inhibited because of trauma, stressful events and loss of a loved one. This is where art therapy kicks in. Art combined with therapy is a very powerful tool for healing. How does this actually help? Many had considered art as a means for self-discovery, a release from tension or a healing from events that caused pain. Even with the good things that go along with art therapy, there is some that are still intimidated by it. Some would say they do not know how to draw. They feel they are not talented enough. They are afraid because it seems unnatural and strange it first. Gradually, learning the art of expression through will alleviate any anxiety or fear around it. This is not impossible with the help of an art therapist. The goal of art therapy is to improve the person’s well-being through art and not to create a masterpiece. Little by little, you would begin to feel comfortable with it. There are satisfying aspects of doing this kind of therapy. Art therapy can help in a multitude of ways. It continues to help a lot of people regardless of the bracket that they are in or what their social standing is. Any negative emotion that we have demands to be felt and acknowledged. Once acknowledgement is done through any kind of expression we welcome healing. That is what art therapy does. Since there are painful situations that may be too difficult to be discussed through words, it is encouraged through this method. Our mind is then welcomed with a new form of expression through art. It had become a stress reliever for many and a way to communicate what is unsaid– -may it be joy or sorrow. This makes art therapy just more than a creative outlet or a creative process. It creates a bridge of understanding towards one another and had become a way to bring out past hurts. Art therapy has also shown to help people with heart health and those who have previously suffered from a heart attack and stroke. United Medical Education has been a strong supporter of our efforts to help those trained in online ACLS certification to recognize the importance of art therapy after the traumatic medical event. Through treating both the mind and the body medically the patient is more likely to make a full recovery. Art is an effective tool that can help people with mental issues. Now, this might surprise you a bit. Considering that art and psychotherapy can be a totally different thing. Art is a known therapy that can treat mental disorders and can also improve mental clarity. For the past years, art therapy has been proven to be successful. The therapy simply makes use of the creative process. The benefits are for everyone and not only for people who have mental issues. Art therapy can also benefit an average person to be mentally fit. It is an easier way to stimulate your brain and just about anyone can do it. Sometimes people think that you need to be an artist to create something or paint anything. People often think that to get into arts, you need talent. Well, that’s not entirely true. Anyone can draw or paint anything. In art therapy, it really doesn’t have to be very good or a master piece. It just needs to be something that truly came from within you. You paint what you feel and you draw using your emotions. Sometimes, it’s easier to draw things than to actually say it. By going through the creative process and expressing yourself, a therapist will be able to help you discover things about yourself that you might not know yet. This will help you understand yourself and why you feel things that you now feel. The therapy will help you process your emotions and not struggle with it. This will be a good step to begin healing inside. All art therapists are trained in arts, so they can definitely guide you in the process of the therapy in terms of your creative expression. They can definitely provide insight into your art piece that can help you identify and understand yourself more. The therapy might give you a sense of relief in almost all aspects of your life. Sometimes, it is self- exploration that can actually lead into and insightful understanding of one’s self. It can almost easily relieve you from the stress of life. Not only will art therapy help people with their emotional problems, but also with other areas in life. More often than not, almost all therapies will help you with your social skills. The people that have less self-esteem might discover a part of them that would allow them to open up more and feel good about themselves. It might lead them to withdraw less in social interactions. Basically, there is a broad idea of how art therapy can actually help a person. But it can definitely improve people’s mental and emotional state, also including physical state leading them to have a better life. Getting into therapy can help so many people improve their lives and relationships one way or another. Again the benefits vary from every person. You might not think it could help you at all, but looking into the process of art therapy, this one is surely worth a try. Art therapy was recognized only in the middle of the 20 th century. However, people had already been using arts as a way of expression, communication, and including healing even before then. There were some specialist who noted that people suffering from a mental illness will often express themselves in artworks, like drawing and paintings. This actually leads to studies and exploration of art as a therapy. And after then, art has become significant in the therapeutic field and had been used for treatment. Art therapy is a form of therapy that makes use of the creative process of creating art to help improve a person’s physical, mental, and as well as the emotional well-being. 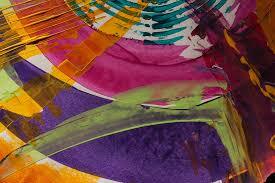 The therapy is also called creative arts therapy and expressive arts therapy. It can also help a person’s issues about his life and will allow them to be able to manage their feelings and behaviors towards a certain kind of emotion. The therapy can definitely reduce stress and could also improve self-esteem and awareness. According to free dictionary, Art therapy encourages people to express and understand emotions through artistic expression and through creative process. The process involves the artistic expression of one’s self, but one does not need to be really talented or to be someone who really artistic to get into the therapy. 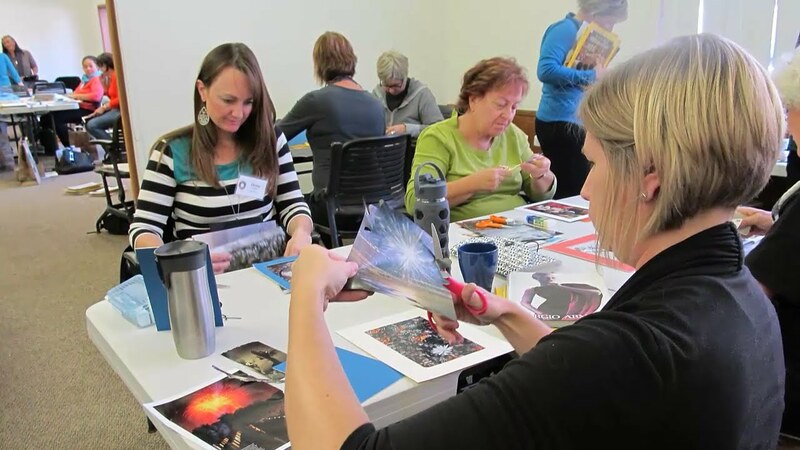 There will be professionals that can help you go through the process of art therapy that would allow you to immerse in your art and continue with the healing process. The process involves the creation of art, which uses art materials like paints, pencil, markers, and other art materials. The therapy caters both the children and as well as the elderly. Clients that are experiencing emotional trauma, physical or mental abuse, depression, and any other psychological problems can definitely benefit in the therapy. Many places are available for art therapy like, hospitals, mental offices, schools, and even community organizations. In art therapy, the focus isn’t only the inner experience just like all the other kind of therapies out there. Art therapy involves learning a certain kind of skills. It focuses more on creating images that is inside your mind. It’s more like pulling out all the ideas inside your mind and not just what you see in your surroundings. So how is this different from taking an art class? Basically, in an art class you will be asked to paint and use your imagination. In an art therapy, clients paint what they feel inside. The therapy allows you to draw into the world what you feel in your inner self. It doesn’t just tap into imagination, it taps into the truth within yourself and it addresses the issue that you have within you. And no matter what you’re going through, surely you could still benefit from it. The benefits of the therapy could vary from one person to another. There are people that tapped into their inner self and got a deeper meaning and understanding about life and themselves. Others achieved healing, inner peace, psychotherapy, and rehabilitation.